Introducing the fiery NEW SINGLE 'Other Plans'! WINNER - BEST SONG COMPOSED - Australian A Cappella Awards 2015. Australia's magical purveyors of a cappella bring to life the breathtaking art form of South Indian konnakol (vocal percussion). Composed by Coco's Lunch artist Lisa Young, who in 2015 was awarded her PhD in the creative art of konnakol, this rhythmic masterpiece forges a new direction in the group's sound, and takes listeners on a journey that sparkles with percussive energy & rich harmony. Nominated: BEST FEMALE SOLO (Jacqueline Gawler in Palani Princess), BEST SONG COMPOSED (Palani Princess) - Australian A Cappella Awards 2015. The latest album by Coco’s Lunch is testimony to the group’s history as storytellers and composers of beautifully crafted songs that speak to the soul. This album brings together a stunning harmonic feast inspired by the natural world, human connection, and carving a blueprint for honouring the earth and one another. Short-listed for an ARIA Award nomination in 2002. Showcasing an impressive feast of composition and vocal delivery, A Whole New Way of Getting Dressed put Coco's Lunch on the global map as a unique Australian voice within the international vocal community. 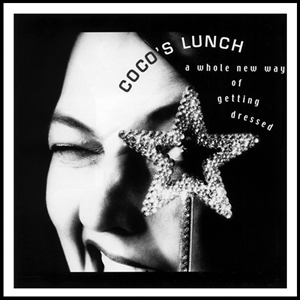 Featuring an exotic spectrum of sounds, rhythmic energy and adventurous song-writing, this album heralded the arrival of Coco’s Lunch as ‘A New Generation of Voice’ in Australia. The quintet’s debut album established Coco’s Lunch as Melbourne's leading and most innovative original A Cappella group, bringing improvisation, vocal adventure and gorgeous songwriting to the table. 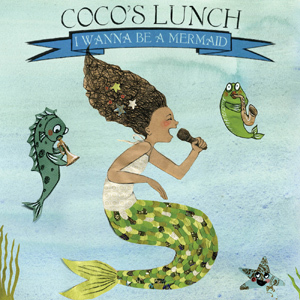 Coco’s Lunch go underwater with their EP for children, featuring songs from the hit show I Wanna Be A Mermaid that has inspired young audiences around Australia and SOLD OUT several seasons at Sydney Opera House. Find your inner mermaid, pirate, seagull or surfer in this magical seaside vocal experience – featuring Do The Goofy Foot, Paradox, I Wanna Be A Mermaid, She Sells Sea Shells and It Will All Be There Tomorrow (adapted from the children’s picture book & audio CD I’m Still Awake, Still!, Allen & Unwin)… as well as bringing new sparkle to classic Coco’s Lunch songs Wally Wombat Shuffle and Lunch Box Rap! This ARIA nominated album for children is packed full of scintillating songs for young people that are clever, catchy and full of zest. From aliens arriving for lunch, to Little Miss Muffet wanting to be a jazz singer, this album is a gem. The group’s debut album for children and the young at heart brings together a collection of much-loved and enduring Coco’s Lunch classics that take the listener on a journey full of surprise, joy and humour.